A moving and very powerful final post from Padre Robin Richardson, attached to 3rd Battalion The Parachute Regiment (3 PARA) as he concludes his 6-month tour of Afghanistan. And so I come to my last blog entry. So much has happened over the last six and a half months and as I sit, now at Camp Bastion and try to sum things up it is difficult to know where to start or what to include. As a Chaplain my role is to as best as I can, see, observe, witness, understand, value and retell, story. The story of individual soldiers and officers and what they have achieved, the story of the communities they have sought to serve, the story of a nation in transition, and the story of God and how His presence, sometimes obvious, sometimes clouded, sometimes seemingly absent threads its way through things. I am trying to piece it together, but at the moment, in the brightness and rawness of events that have yet to settle into a single narrative, I think it is best that I simply state what I have seen, what I have heard, what I have felt, what I have known. I have seen the effect that security can make to a community, and the tentative steps that people dare take when less threatened. Village elders feeling empowered enough to confront the insurgent leadership, parents wanting to send their children to new schools and farmers pointing out to ISAF troops where IEDs that endanger the whole community are laid. And it is upon these building blocks that I think I have seen a genuine peace starting to establish itself. The security has not been the answer, it has just given the people the chance to ask the question. I have heard young men in a foreign land speak tenderly of loved ones they miss, and of battles they have won, of people they have helped and of friends they have lost. I shall never forget the sound of rain-sodden sleeves forcing a final salute as the coffin of a friend is carried shoulder high through silent ranks to return home. And I have heard the crash and silence of the closing cargo door of the plane as we hold a solemn moment before returning to duty, to the job we have been tasked to do, to the freedom the fallen sought to gift. It is what they would have wanted. It is what they would have done, and we will never forget Jack and Tom, Lewis and Conrad. And yet the strange counterpoint to this has been the sound of children’s laughter getting louder and freer and gunfire becoming more distant as those who would intimidate are forced from the centre, to the sidelines of life in Nad Ali North. And I have heard exasperation and hope in equal measure as democracy is learned within the imperfections that freedom demands; but no-one said it would be easy, and the cost has been high, in every sense. I have felt the ache of missing my family, my friends and the freedoms of life at home; but I’ve known also the warmth of fraternity, of being part a group so close, so committed to one another that the improbable seems all at once, possible; and the lurking fear of being alone that tracks so many lives within western culture is kept far, far away from eight in a tent in Helmand. I’ve felt great pride and optimism when I have seen young people given something to do, a reason to do it, and the sense they are about a higher purpose, shine like the sun and dedicate themselves to the task with enthusiasm, assurance, professionalism and the knowledge that there is hope, even if cynics would rather scoff from afar. I have known tiredness, and I’ve known good sleep, sadness and hilarity, disappointment and gratefulness but in all and through all I’ve known the presence of God, the hope of faith and the power of prayer. Yes, I have seen man’s inhumanity towards man and I’ve heard it sold in religious, philosophical and intellectual terms; but I know impious hate will use any means to twist the minds of those it seeks to control. For I have known in far greater measure the selfless actions of people of different faiths and of none, I have heard words of understanding and grace when I’ve met and eaten with mullahs and soldiers and farmers and police. And though there have been many things on which there are differences of opinion and ideology, I have felt and I have seen in concrete terms, that away from insipid romanticism and tabloid headlines, the truth that states, the hope that underscores, the trust that believes, and my faith proclaims; that in the end, when all is said and done, and all of history is revealed, selfless love and the giving of ones all for another, wins, full stop. Padre Robin Richardson, deployed to Afghanistan with 3rd Battalion The Parachute Regiment (3 PARA), writes about a week of unexpected events. It is strange how some days unfold, pan out, change along the way. Last Monday night we heard that one of our soldiers had been badly injured in a blast and, separately, that a close member of another lad’s family had died. The RSM got to work getting helicopter flights booked to get he, the CO and I to the hospital and to the injured soldier’s Check Point (CP). I spoke to the other lad’s mum in England and got my move to his CP in place for early Tuesday. It was a sad evening and we knew that the next 24 hours would be full of challenges. Tuesday morning arrived and as the CO and RSM jumped onto a helicopter to visit our injured lad in hospital in Camp Bastion before his fight back to the UK, I set out for a little CP just a short distance away from our headquarters in Shazad. When I got there I was greeted by Sam, Ben, Shaun and the other members of the multiple and as I sat down with our youngster who had received the sad news of his relative’s death just the day before, Sam brought us both a brew and we discussed how he was feeling and something of the conversation I had had with his Mum the evening before. We had been aware that this might have happened and so the Company had been working towards getting this bright young soldier on the first available flight a few days previously, and so as we talked it was good to assure him of the practical steps that were being taken to help too. But mainly we shared his sadness, but sadness that was overridden by happy memories from good times spent, and there were smiles and some questions and not a little quiet. A short while later it was on with body armour once more to get back to Shahzad and onto my flight to catch up with the RSM and CO. And as I left I reflected on how though a very sad start to the day in many ways, there was also much to be thankful for. For a young lad who has a great relationship with a very loving family; for his ability to own his grief but receive the support and friendship of those around him and for a company and a battalion, who were doing all they could within the constraints of our situation to look after one of the boys the best it could. I had been at Bastion a short while waiting for my flight forward to our injured lad’s CP, finding a quietish spot next to the helicopter flight line to pray and read my Bible for a bit, when the CO and RSM arrived from the hospital. ‘He’s doing amazing well, Padre. Strong as an ox and doing as well as he could be considering. He’s sedated, but he opened his eyes as we helped lift him onto the stretcher for the flight. The nurses said the medics did everything right, absolutely perfect treatment.’ Again, from the midst of sadness, and a situation you wouldn’t wish on anyone, hope, and goodness and promise. We boarded our flight and a few minutes later arrived at the company headquarters in a Patrol Base that sat on top of a hill overlooking a village that has changed dramatically for the good over the last six months. We sat for a while and chatted with the OC about how everyone was doing after the incident, and listened as the details of all that had gone on were relayed. The CO and the RSM listened, not asking technical questions about how, why, what, when and where, but listening as those whose primary role just then was to care, to hear what was been said and understand how it was being said. We climbed into a armoured vehicle to make the short journey to the CP where our injured lad was based, but just before we did the Company OC asked if I would look after the Bible and Daily Reading notes I had given to the injured lad at the start of the tour and that had been next to his bed when they were packing his kit up earlier that morning. There was silence as I baptised Adam, until he stood and his mates, some of toughest most professional soldiers you could find, paratroopers all, clapped and stepped forward wide-armed to congratulate their friend. I needed a few moments to let it all sink in. It was quite simply one of those moments that helps to remind you what its all about. I really wasn’t expecting the day to have unfolded as it had, but so often life is what happens in between the best laid plans and sometimes you just have to roll with it. And then someone shoved a cup of tea in my hand and the lads gobbed off for a bit. The pains of life had tried to define the day just 24 hours earlier. Bereavement, injury and life as austere as it could be. But that was not the only story at work that day because running through it all, and rising triumphant above it was hope, promise and faith. And that for me at least, is the triumph of Easter. 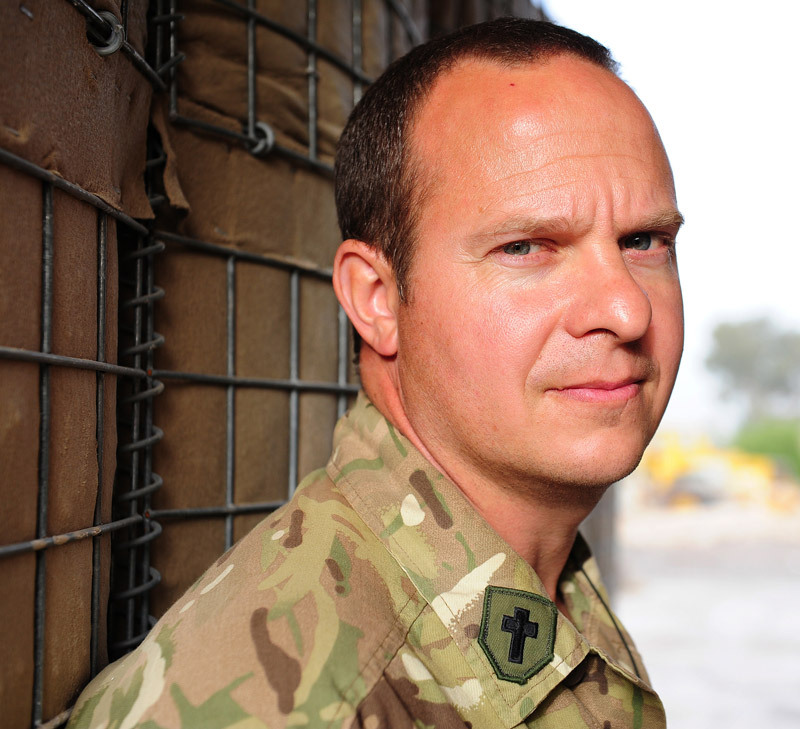 Padre Robin Richardson, attached to 3 PARA in Afghanistan, blogs once more. I have spoken a great deal over the past months about the changes I’ve seen in and around Nad Ali North, but there have been other changes too, more personal, closer to home for us. Some we make light of and hope that time back in England will temper. Super-sensitive vigilance in every step, normal here, perhaps over-cautious at home. We don’t tend to have many crowds here either, and queues are orderly affairs with time to chat. Our default setting is to look out for others, and after six months this becomes social-habitual – its how everyone thinks. And yes, there are also those things that we see, that we experience, that we work through, that we’re less keen to talk about with those who weren’t here. But it is to be expected, it is part of the package; and it is why upon our return the occasional brew, the chance to sit and chew the fat with others who have been through whatever it is too, the shared experience, it helps a great deal. For me, faith is also central, it is vital to things, because I know at the deepest level, God is, and has been, with me in all things. And of course in the darker corners of life on tour, where the memories paint pictures we would rather discard, the cross to which we journey at Easter points Christians to a God who has known humanity’s worst laid upon His Son, but Who extinguished all the power of pain and hate and hurt in the resurrection. And so yes, we are changed by our time away, but this does not make us victims, and change is not always a bad thing. Much of what we experience, that becomes part of our story, is phenomenally positive and leaves us far better people because of it. Many have said of our youngest soldiers, that they deploy boys and return men. And this foundational change can be an amazing privilege to behold. Yesterday, late afternoon, a youngster came to see me because of an issue going on at home. Such problems are always difficult, but when you are thousands of miles away and needing life-death concentration every time you patrol, it is worse. But often in the quiet of a mug of tea, and sometimes a wiped tear or two, the anxiety subsides. The young Lance Corporal he was talking about is Aidan, a slight man with kind eyes and a quiet but granite air about him. He has the confidence to speak openly with anyone, but without arrogance, and is instantly likable. When he talks about his girlfriend he does so with a humbling devotion and on issues of faith and life and the future his wisdom and insight has been formed and informed by seeing life through the lens of a great deal of active service. There is no pretence, no mask; what you see is what you get. And what you get is second to none. When one of his lads was badly injured early in the tour all these qualities and more had Aidan running through a hail of bullets to reach his comrade and render life-saving first aid. With rounds so close he could feel their impact in the wall nearby, he did that which lays beyond training and which sets the very best apart. And Aidan has been there watching out for, encouraging, helping a young lad grow into the battalion and with a mentor like him, and with the dedication, commitment and willingness to learn of the young man with whom I was speaking, the man coming home will be an asset to any situation he finds himself in. After a half hour or so, my young visitor knows that unit will do all it can to help out with the issue at home, but he’s also had the chance to have a fresh look at all he’s been achieving, all he’s becoming, of whom he is a part and I think, I hope he feels good about himself – he should, he really should. As Operation HERRICK 13 draws to a close, so does 3 PARA’s time in Afghanistan. In this blog, Padre Robin Richardson – attached to 3 PARA – reflects on what he has seen to change over the last 6 months. The Battlegroup is drawing towards the end of its tour now. Time has flown by and there is still much to achieve, but I have had mind this week to look back and reflect a little on what has changed over the last 6 months. Lives have changed – for all those injured, and for the families of Jack Howard, Colin Beckett, Lewis Hendry and Conrad Lewis within our battlegroup and for all the others across theatre who have lost loved ones, life will never be the same again because of the sacrifices our bravest and best have made. But the lives of those whom we are seeking to serve have changed too, and in most cases significantly for the better. On 10 March I saw what some would consider a strange monument to the astonishing work the lads have been doing. 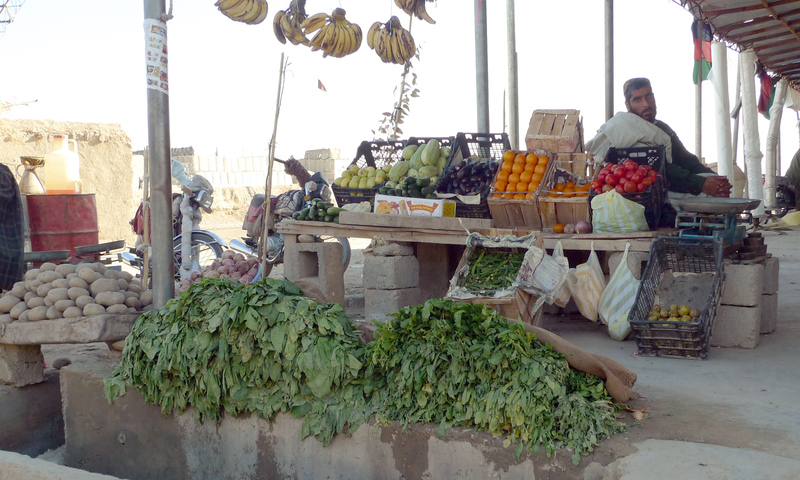 A vegetable stall. Skipping around the front of its rickety frame a wide-eyed little boy waving and laughing without a care in the world. Beside it the weathered face and greying beard of a man whose years, accelerated by others’ ideologies, have tired him, but who was resting a while in the warm spring afternoon. Business was good and that day life’s fleeting hopes appeared to be lingering. That it was a vegetable stall is important, and I wish that sometimes journalists would pay them a bit more attention. Allow me to explain. On a hot street in unrefrigerated boxes, fruit and vegetables go off quickly. The man selling them only had on display what he knew he could sell within a day or two. That this stall was full was a sign of the level of both footfall and general business. Maybe it’s the building work that A Company helped to organize with the traders, contractors and the stabilisation team. It has enclosed the market area and with a number of solar-powered street lights the opportunity for trade hours stretching into the cool evening and for the night watch to protect the businesses after hours better has become a reality. The soft-leaved greens, the cucumbers and many of the other fruits and vegetables have been grown reasonably locally which points to planned, sustained, diverse and successful farming, which in an area historically rife with poppy growth is another positive pointer. Bananas, oranges and some of the other products need to be regularly resupplied and for high bulk, lowish-cost items, it needs to be worthwhile for the trader to get them in. Any taxation along the road or too much associated risk and it wouldn’t be worthwhile. So oranges point to safer roads and better lines of communication. Lastly, that this was not the only vegetable stall in the market shows that this agricultural community is enjoying the fruits of a growing agricultural economy. Now these are only my musings – my own reading of the situation – but I passed down the same street just a few months ago at the start of the tour and it wasn’t the same then. And now there’s a doctor too and the school is planned and soon to be built and with check points manned by the Afghan Police and ISAF at the entry and exit everyone is known, and people feel safer and change appears to be cementing itself into the lives of the population. 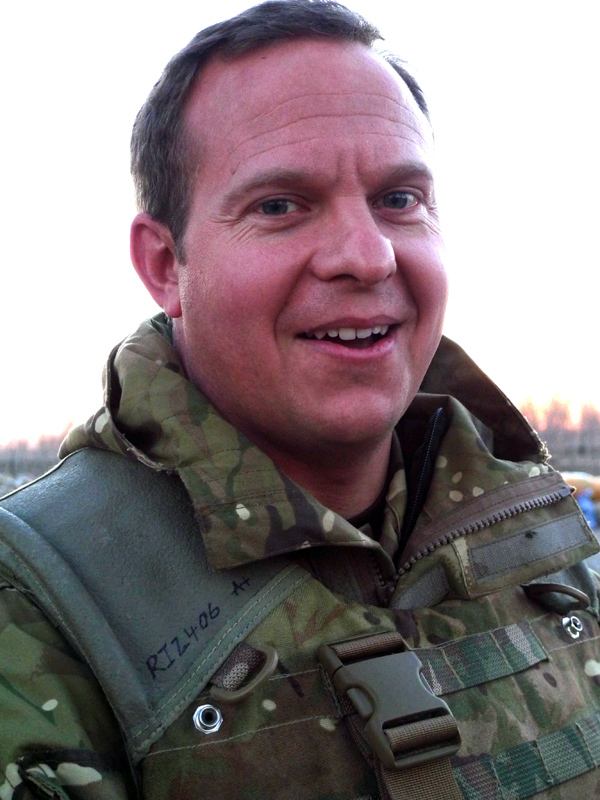 As Lent approaches, Padre Robin Richardson – in Afghanistan with 3rd Battalion The Parachute Regiment (3 PARA) – blogs about catching up with a commander he hasn’t seen since the start of the tour. That, I believe can be true, but it is not always the case. Last week I visited one of the battalion’s companies that has been attached to another battlegroup for the tour. It was there I saw Nick, a friend I’ve not seen since the start of the tour and with whom there was much to catch up on. Nick’s closely cropped hair, his focus, his intensity and his phenomenal fitness could give the impression of quite a warry man. After our battalion 50 mile march in late 2009 I saw the open wound on his back from where just a minor rub from his bergen had worn its way through to raw flesh. But he hadn’t slowed, he hadn’t complained, he wouldn’t have even mentioned it if I hadn’t noticed. And the scar’s still there. At first glance then it would be simple to stereotype Nick, but that would be a mistake because yes, Nick is fit, strong, focussed, dedicated and more than ready to make difficult decisions when called to; but Nick is not just a quick thinker, he is also a deep thinker; and a learner and a man who has experienced more of life than years. His leadership and valour have been recognised but not courted and his experience is written is the cipher of both suffering and triumph, the key to which, as Jermome would put it, is found within his memories of past and present tours of Afghanistan. Nick’s appreciation of what lies beyond winning the battle for security within his area of operations is a great encouragement. His understanding of local tribal identities and the desires of the village, voiced through the elders he meets each week and with whom he drinks a lot of tea, is born of something beyond mere pragmatism. 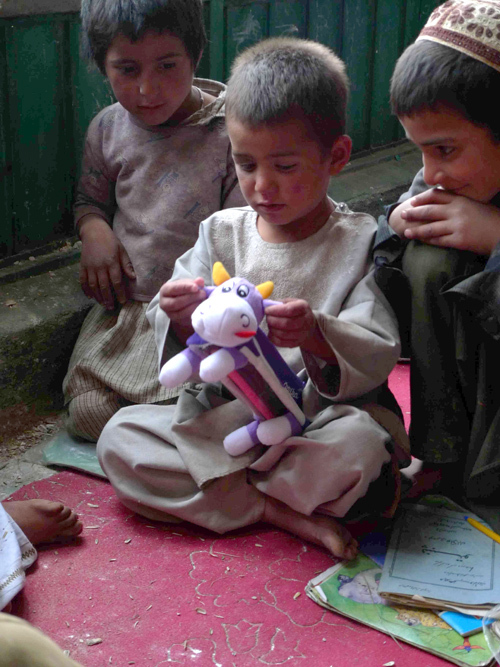 He isn’t just getting to know them as a means to an end, he is getting to know them because of their shared hopes for a community in a little patch of Helmand where they have a stake together. Nick’s encouragement of the Afghan Army commander he is partnering is paying dividends too, as it is this young man who is the primary spokesman for security in local meetings. Not just an Afghan face speaking on behalf of ISAF, but a bright, articulate and professional young Afghan officer who wants the best for his country and is sharing his hopes, his vision, his enthusiasm, with his people. Nick does not want to talk about the statistics of rounds fired, battles fought and insurgents killed. Whilst I was visiting one of the company Check Points with him a patrol found a massive insurgent weapons cache. But again Nick’s focus was more about the impact this would have on the local population than headline-grabbing figures. His point is the find had to be seen within the broader hope of crop diversification, the new school being built and the local population feeling empowered to deal with insurgent intimidation. Nick, like so many commanders in the Army today, has experienced what it is to fight, and to fight hard, and this, I think, has given him great wisdom in his approach to his present task. The book of Nick’s experience has been penned in one of the most challenging and complex of environments during his tours of Afghanistan. And though it is in quieter moments, when he sits and sometimes speaks of what has been, that some might say Nick recalls what shapes him, I would state that it is in his appreciation and affirmation of those in his command; it is in his encouragement of others to aim high, to lead, to make a difference; it is in his compassion towards a community that has had little reason to trust for many, many years, that we truly see what has he learned in life and in his service to our nation. And when I watch the news, when I hear of what is happening around the world day to day I am minded to wonder whether perhaps we could all do with looking back a bit more as we make decisions about how we go forward. 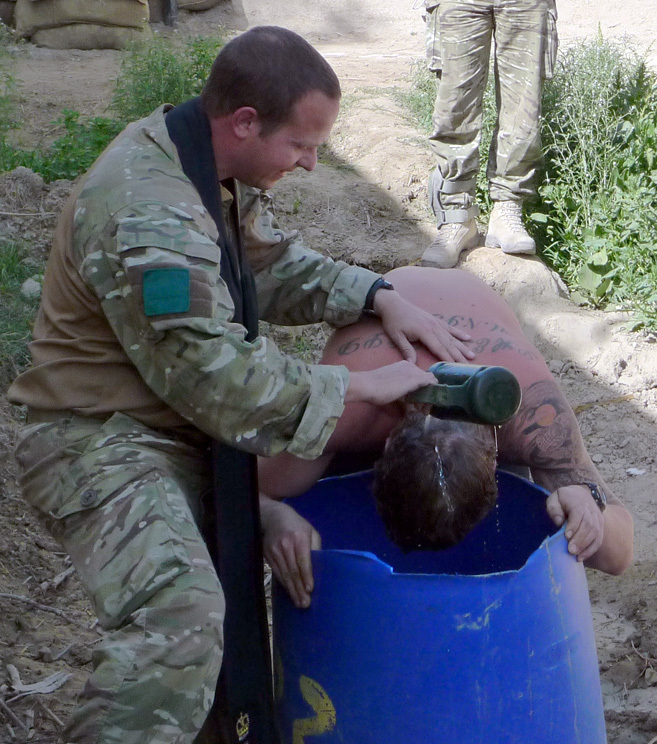 Padre Robin Richardson, in Afghanistan with 3 PARA, writes about meeting a Para called Baz, visiting the construction of a new community meeting area and seeing the reaction of local children to some small gifts sent by a little girl in the UK. Less than 2km away the ongoing firefight was furious, but as I sat in the Operations room in this little Check Point (CP), it could have been another country altogether. Peace is getting its chance to break out here because of the security that being fought for just a short distance away. In Helmand these two front lines move together. The security bubble provides the opportunity for the more enduring work of peace building within the community to really take root, and a stronger community in turn supports local security. I had travelled out from Shahzad that morning with a FET – a Female Engagement Team, two female soldiers, one a fluent Pashtun speaker, who meet with the ladies of the village in a local compound. ‘They were a scream; laughing and joking,’ Steph said when they were back, ‘and quite happy to talk.’ Slowly, gently, carefully as relationships grow between the FET and local ladies, the ups and downs of the village’s life can be seen from this very different angle and a broader understanding of the community we are serving grows. Nothing is imposed, but important voices are heard, and that has to be a good thing. I had taken a couple of parcels to the CP with me that day, one that had been put together by the daughter of member of 3 PARA and another that had been sent by the members of a Church home group in Gloucestershire. Both were destined for a little school that the lads in the CP had sunk their hearts and souls into getting off the ground with the help of a local elder. As Baz told me, the story every element of him warmed, and yet in almost the next sentence he was saying how well the lads in the CP were doing. He is a man for whom the term vocation is well suited. The most natural of family men and a born leader with it. As we donned our body armour to make our way to the school, Baz grabbed a plan he had drawn up. ‘They’ve started work on this today, Padre.’ We went and looked at the rough bit of ground across the road that was to become a community meeting area. ‘We paid for the materials, but the labour is all voluntary,’ Baz explained as he started discussing the plan with a local elder. The negotiations were far from easy, but with mutual respect and the help of an interpreter, things were moving on. Then up to the school. Forty children all sitting, listening intently to the teacher and all learning to read and write. Baz asked a lad in the front row if he would open the box sent by the little girl from home. The youngster looked firstly to the teacher and after a nod he opened the box. As he pulled things from within they were handed out and though the children are poor there was no grabbing and they made sure that the youngest of them got the toys first. A small pencil case in the shape of a cow grasped to the chest of frail little boy; and excited waves greeted the bubbles Baz blew them across their heads. Peace is breaking out; and yet just a couple of kilometers away it’s security that is the most pressing need. The local authorities with our Battlegroup’s help are working at both, and as I watched Baz and the elder laugh, and plan and smile as kids played in the water I thought to myself, there is hope, there really is. Padre Robin Richardson, currently in Afghanistan with 3rd Battalion The Parachute Regiment (3 PARA) writes about the death of WO2 Colin “Tom” Beckett at the weekend. I have been struggling this morning in thinking what to write as we all come to terms with the death of WO2 Colin Beckett. We only ever knew him as Tom, and around the lines now it is only ‘Tom’ of whom we speak. We all have two lives in the Army, that which takes its form in uniform, and the other which lives away from what we are at work. These lines are blurred though, and when I talk with folks in the arena of banter and ops and the difficult tasks that are frequently the soldier’s lot, conversation is often about that other side of who we are. The Parachute Regiment – and 3 PARA especially – will ever remember ‘Tom’ Beckett, and so shall I, for this week I lost a friend. But his memory will live on well beyond the lives of those of us who knew him at work. It was just a few weeks ago that as I crouched next to Tom by a low building, him watching his arcs, ever vigilant, keeping danger as far from us as he could, that he spoke in tender terms of his life at home; of all that he hoped for away from the fields of Afghanistan and in the silences that strong men sometimes need, he spoke of the love that could not be framed in terms of words alone. And for just a moment, in a fleeting glance as he adjusted his position next to the wall, Tom’s contented grin betrayed the fullness his heart has known. On the night that Tom died I flew into his Patrol Base with the Commanding Officer and the Regimental Sergeant Major so that we could spend some time with those who had been with him that morning. Even in rawness of grief there were smiles, because that is what Tom brought with him. And as we sat and chatted in ones and twos I heard from one young lad something I had experienced myself before: “…and Tom pushed out to the west, just a little way, to watch that arc.’ He always did. He always had our backs. He always watched. Our hearts are all low as we prepare for Tom’s repatriation later on this week, but it is not just our loss that hurts, but our thoughts and our prayers for Tom’s family and how they are suffering. Though there are no words that can do him justice or express our feelings and condolences, we can but ask that God may hold his dear ones close through the storm and comfort them in their grief.